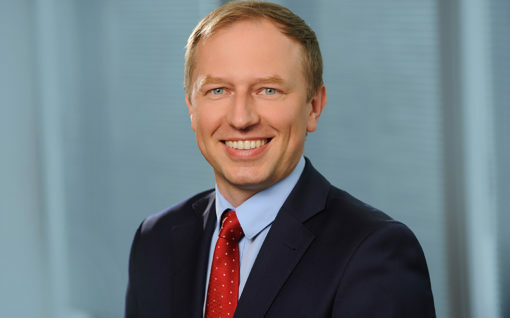 Wojciech Wrochna also leads European Law & European Economic Regulations Practice at K&P. He specializes in European law with a particular emphasis on competition law issues (including state aid and sector regulation) as well as in investments and transactions between entities operating on the regulated markets. He has worked in European institutions (including the European Court of Justice, and European Parliament) and government institutions (e.g. as an advisor to the Minister of Science and Higher Education). Wojciech has repeatedly represented the Government of Poland before the European Court of Justice in Luxembourg and the European Commission in matters concerning the violation of Poland’s obligations under EU law. He has also conducted proceedings for the European Commission regarding e.g. notification of aid projects, including projects co-financed by EU funds, and M&A transactions. His experience in the regulated markets covers comprehensive advice to clients in the field of investments and transactions, obtaining financing (EU funds) and among others advice on LNG Terminal investment, cogeneration, wind farms, and broadband networks. He has also advised Polish energy companies PGE EJ1 (GK PGE) and PSE SA, concerning regulation of the energy sector, EU law and public assistance issues (contract for difference, the power market). Wojciech is an academic lecturer and the author of articles on EU and energy law, and the co-author of commentary to the Treaty establishing the European Community. Languages: Polish, English, French, German. Membership: European Litigation Lawyers’ Association (Luxemburg); Polish Association for European Law. Education: University of Silesia in Katowice, Faculty of Law and Administration (Master of Law 2003, Law Faculty PhD diploma in 2014); Robert Schuman University in Strasburg (France), Diploma with specialization in International, European and Comparative Law; The International University Institute of Luxembourg LL.M. in European Litigation (post graduate studies).